While consumers have been able to get access to the BlackBerry Z10 touchscreen handset for a couple of months now, the BlackBerry Q10 is only just starting to hit select markets but it seems the device is selling well since its recent release in one store. We told you recently that UK retailer Selfridges were getting exclusive access to the BlackBerry Q10 for the first few days of the handset being available in the country, and now it has been revealed the device is the “’fastest-selling ever’” consumer electronics product the retailer has ever seen. The sales wasn’t just BlackBerry fans looking to get their hands on the device though as Corporate buyers and exporters were queuing up to snap up the Q10 in bulk, and this comes after there wasn’t much advertising stating the fact the device was now available from the company’s stores. People that were present at the store stated that the Carphone Warehouse outlet was selling dozens of the devices in single transactions to IT customers and exporters. Selfridges were selling the BlackBerry Q10 at its London, Manchester, and Birmingham stores with stock selling out within the first two hours of becoming available, which was quickly replenished with fresh stock to try and keep up with demand. Blackberry have not confirmed how many units have been sold so far but reports are suggesting that about 2,000 handsets were sold during the first 90 minutes with all stock exhausted in around six hours. A manager at the outlet was asked how it compared to the BlackBerry Z10 and was told it was “’leagues beyond anything they had seen”. There were two queues formed with one for bulk buying and the other for smaller purchases, and some were getting 30 or more in one go costing around Â£18,000, and this news comes after it was revealed that a London law firm were purchasing 1,600 BlackBerry 10 devices. 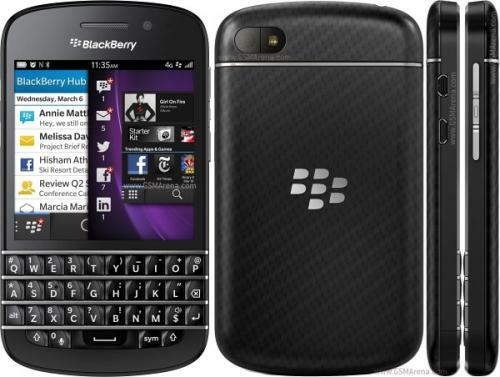 Are you going to get the BlackBerry Q10? Great news for BlackBerry, QWERTY keyboards are still very much preferred by people that want to fast – accurately and without a sad auto correcting aid.